Volunteer Overseas for a life-changing adventure! We offer unique, powerful and immersive volunteer experiences in Kenya and Nepal! A team based volunteer program for qualified allied health professionals. Individual health placements for students and professionals allowing you to give back, make a difference and see the world. Are you excited for Avengers: End Game? Who's keen on an Africa adventure? You can now travel to Uganda on the Global Adventurer's Program! Calling all nursing, midwifery and allied health professionals and students! We would love to hear from you! 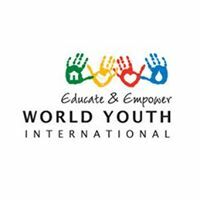 If you are interested in volunteering with World Youth International and would like more information, or if you have a general enquiry, please complete the form below and we will get back to you!